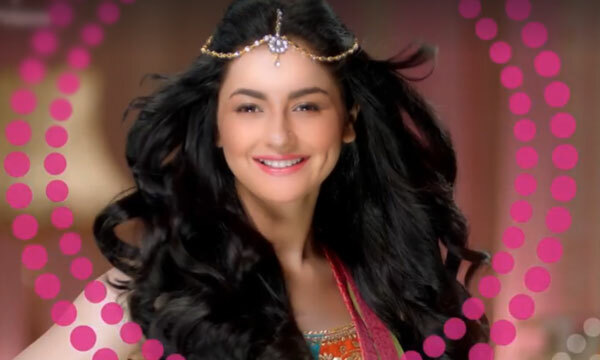 Sunsilk Pakistan has recently rolled out their latest ad campaign which stars the gorgeous Hania Aamir. The actress has been making waves in the Pakistani film industry lately. 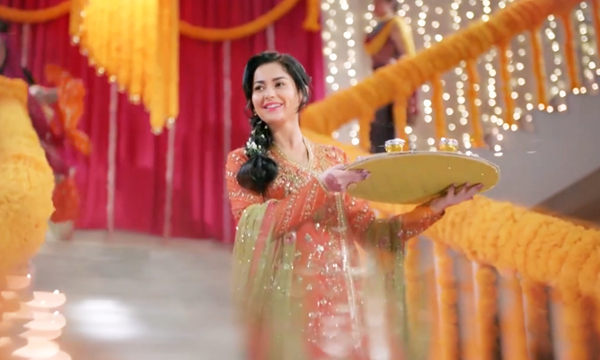 With the wedding season in full swing, Sunsilk’s latest TVC is proving to be a big help showing girls how easy it is to sport various trendy hairstyles when they have healthy hair. 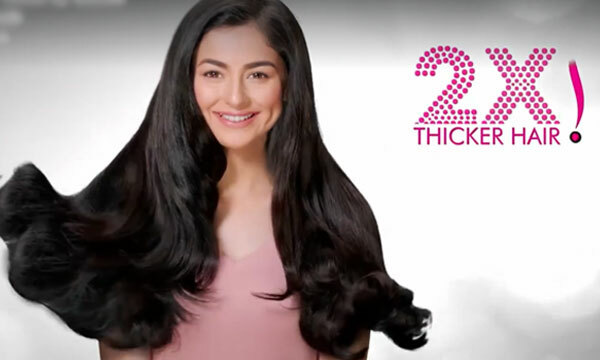 The diva is seen using Sunsilk ‘Thick and Long’ shampoo and later adorns 3 totally different looks in the ad. We love how pretty she looks in the dazzling designer outfit and trendy hair braid! Hania can be seen getting dolled up for her brother’s wedding functions in a jiffy, sporting a fresh look with a different hairstyle for each event. The beautiful braid decorated with tiny flowers looks absolutely amazing, the diva’s hair braid looks absolutely on point. The TVC is heaven sent for women and girls who want their style statement to be perfect but are unsure how to go about it. The hairstyles and the designer outfits give us a lot of different ideas that don’t seem too difficult to pull off. Hania rocks a delicate ‘Matha Patti’ with style at the Mehndi! Loose curls and a matha patti make the ultimate look for a mehndi! We hope to try this simple trick for a night out soon. It’s hassle free and with hair that looks healthy and shiny, it’s a girls best feature. Hania looks adorable in this chic side pin-up hairstyle on the main event! The uber-chic hairstyle looks difficult but is as simple as ever! An awesome blow-dry will give you the same look, all you have to do is twist and pin it up from one side and you’re good to go. For the glossy shine, don’t forget to use sunsilk’s conditioner. Sunsilk’s Thick and Long shampoo promises 2 times thicker luscious hair as it contains the richness of yogurt and keratin. Let’s hope this means we say our final good-byes to bad hair days! Don’t we all wish for such bouncy voluminous locks? Sunsilk’s new advert is totally apt for the current time of the year, the starlet looks drop-dead gorgeous in the beautiful ensembles she adorns throughout the ad. The playback is a remix of a traditional song which makes the entire ad lively and fun to watch! 7 Reasons Why Upcoming Urdu 1 Drama ‘Titli’ ft. Hania Aamir & Ali Abbas is a Must-Watch! 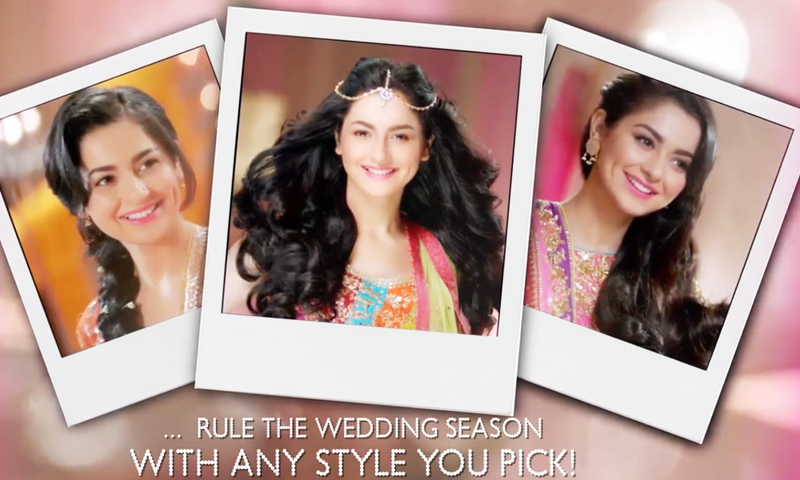 What did you think of Sunsilk’s latest commercial? Tell us in the comments below!